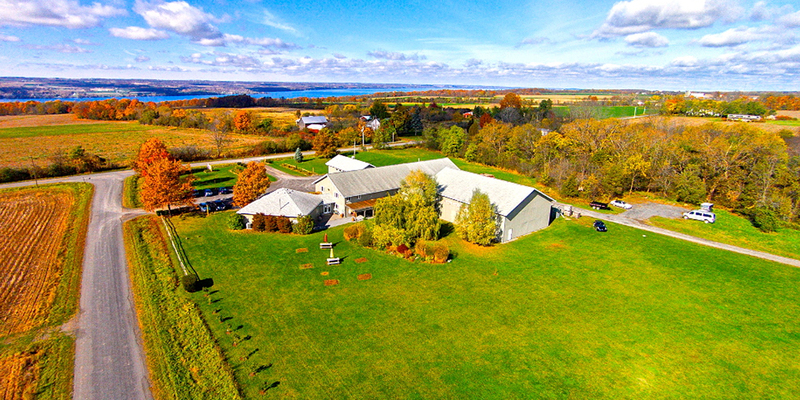 In a small town 30 minutes north of Ithaca on the east side of Cayuga Lake, sits King Ferry Winery, a small farm winery producing world-class Treleaven wines. The old winery on this side of the lake has been owned and operated by Pete and Tacie Saltonstall. Farming has been in the Saltonstall family for several decades – Pete’s father was an agriculture professor at Cornell University and after leaving his post, bought seven hundred acres of local farmland which was used to raise beef cattle and a variety of grains. Most of the land was sold after his passing, but a small parcel of land named Treleaven Farm – named after the family the land was purchased from – was kept and inherited by Pete, and is now home to the vines that produce the grapes used in the wines you’ve been sipping today! Although Pete grew up in a farming family, winemaking was not on his list of career aspirations, but in 1984, after a visit to California wine country, Pete decided the family farm back in upstate NY might be suitable for growing high quality vinifera vines. Thus started the Saltonstall passion for wine-making and by 1989, the first Treleaven wines were available. Fast forward 30 years, increase case production from a modest 1,000 cases to the current production of 10,000 cases, and you’ve got yourself a winery that has grown with the Finger Lakes region. At King Ferry Winery, delicate grapes are hand-tended and selectively picked to produce extremely complex and full-flavored wines. Here, we sacrifice quantity for quality in the quest for fruit with intense varietal character has been the guiding philosophy of the winery from the beginning. Here, on the east side of Cayuga Lake, you can experience first-hand what having a burning passion for fine winemaking really tastes like. This Treleaven wine was an adventurous and cheeky project envisioned by the King Ferry Winery with Winemaker Lindsay Stevens who is as native to the Finger Lakes as the grapes themselves. 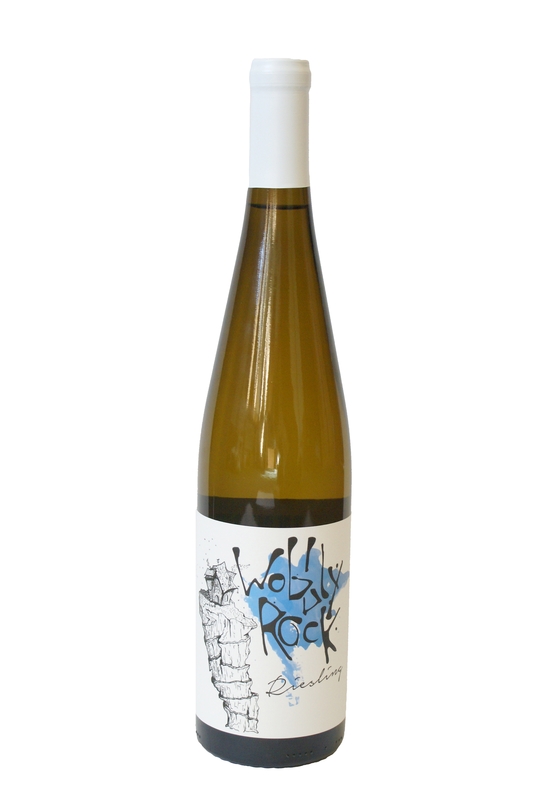 Wobbly Rock emerged as an evolution to the Treleaven Brand suited to shine and smile as a top performing Finger Lakes Riesling. So we bring to you a wine shared by poets and lovers, wanderers and friends. Drink for the loudest block party, and for the quietest twilight. Make every glass memorable; share with us your stories and adventures. Take your Riesling to Wobbly Rock.